UK's leading Shamanism podcast: what is shamanism, how do i become a shaman? 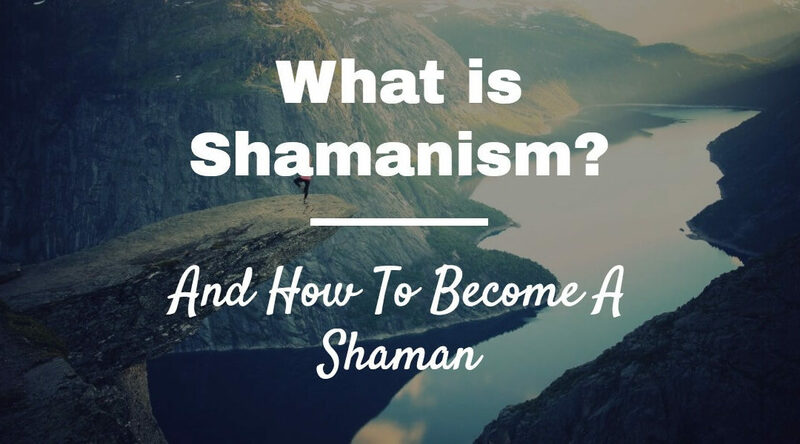 Woven Energy 01 – What is Shamanism and how to become a Shaman! Well guys, its here. This is the official launch of the Woven Energy Podcast. Its taken a long time to get here… But here we are! This is the episode that covers some of the groundwork. It sets scene on what you can expect in future episodes, but it also gives you a flavour of the reality of Shamanism. 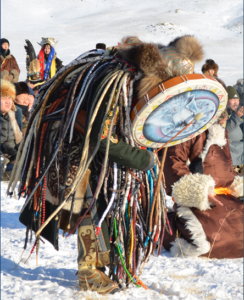 Shamanism is not about banging a drum and imagining that you are falling down a hole. In fact, its probably one of the most misunderstood practices there is. This episode goes deep into the realities of Shamanism. The underlying principles. What it’s really all about. As well as the very first thing you need to do to get started. Shamanism is a nuanced subject. There is no such thing as black or white… This or that… Its experiential, disciplined and can be dangerous. This is why the mission of this podcast is to bring a complete foundation of Shamanism to you step by step. Every episode will build on the last, one jigsaw piece at a time. So go ahead, get started and listen to the podcast. How does a shamanistic people know who their shaman is? You can also search for “Woven Energy” in the podcast section of iTunes. So over to you… Is there anything specific you want us to cover in these podcasts? Leave a comment below. How are you defining the term miasma in the context of Shamanism? Also, are your podcasts available on sound cloud? The Miasma relates to the thought patterns and behaviours we take on through life that, for example, are a result of one person giving a piece of information to another person. Rather than someone gaining direct feedback from nature or the natural world. Like everything we discuss on the podcasts, its very nuanced. Some information passed between people is good and can stop us hurting ourselves. For instance, a mother telling her child not to play around the stove when its on. Other pieces of information result in thought patterns based on faith and belief rather than hard tested reality. It relates to shamanism as in order to ‘do’ our Shamanic technique, we must solidify the barrier between ourselves and the miasma. This is currently on very shaky ground. Animism is about breaking down the barrier between ourselves and nature/reality. Think of the miasma as being similar to the effects of social conditioning. Unfortunately, they are not available on soundcloud as we can only upload a certain amount of minutes. Currently, you can subscribe on iTunes, or any other android friendly app which accepts an rss feed. You could also download the MP3 by right clicking the link in the post and saving it to your computer. Or you can stream it using the embedded player. If you have suggestions on how we can make it easier, let me know and i’ll see what I can do. Thanks for the reply. I listened to the podcast again and it made more sense second time around. Can I take it that the purpose of shamanism is to achieve a new perceptual version of a world different from ordinary, day-to-day reality that we experience. That it involves being able to recognize the essence of things in the world and not just their visual or physical representation. Is that reasonable? Yeah that sounds reasonable. Shamanism is simply a set of techniques. In order to perform those techniques he/she needs to step outside of what we might call ‘ordinary reality’. This process is made difficult by the effects of what we on this podcast call ‘The Miasma’. I’m really pleased the concepts are resonating with you. Keep listening, there is loads more to come!